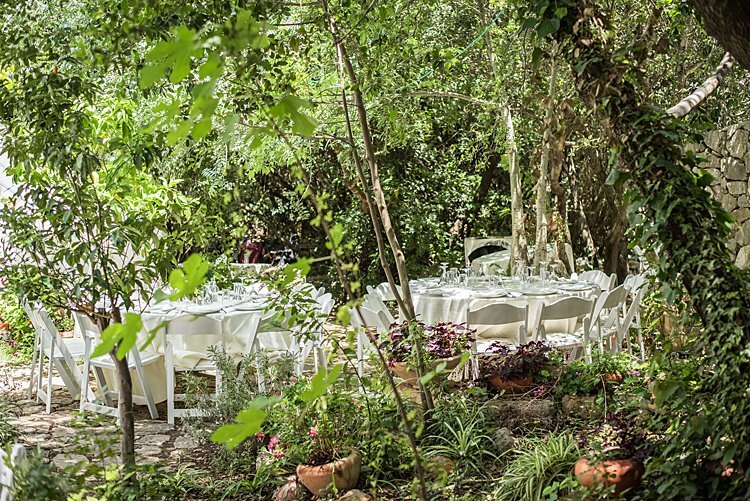 Today’s Jewish wedding is giving us SERIOUS garden envy. Lauri, a veterinary nurse and student, and Gal, who is a poet and teacher in addition to managing the Eduard Bar in Tel Aviv’s Carmel Market, always knew they wanted to get married at Gal’s parents’ home in the north of Israel — and if you take a quick scroll through their fantastic, ultra-stylish photos from ultra-talented Smashing The Glass Recommended Vendor Herschel Gutman, you’ll see why. This picture-perfect outdoor space was basically an intimate wedding venue waiting to happen. With plenty of stone (so Israeli! 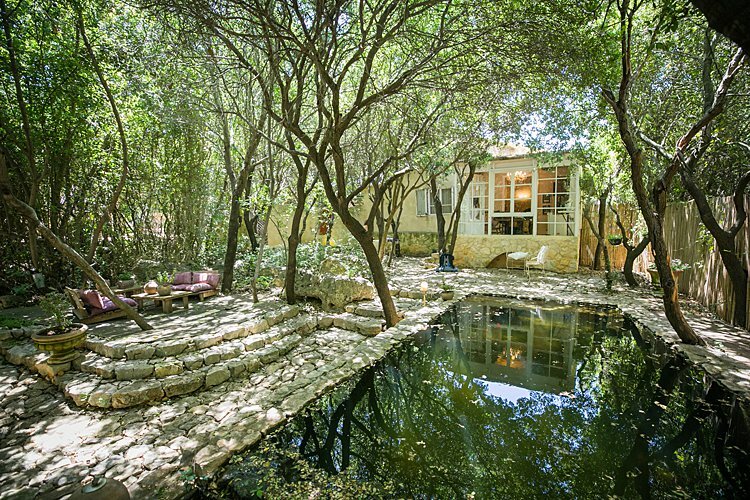 ), a veritable backyard forest of trees, and even a pond, it’s just the absolute loveliest. Also pretty lovely? Lauri’s super cool Limor Rosen dress. 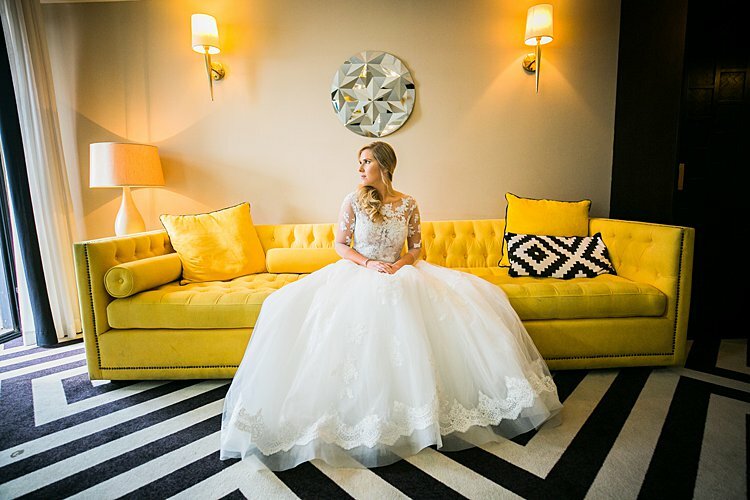 With stunning beadwork, lace, and a contemporary slim fit and halter neck, it looked just SO perfect on this stunning bride. Lauri, the bride: We got married at Gal’s parents house in the north of Israel. A small moshav called Mistpe Abirim. We loved the idea of getting married in Gal’s family home. Lauri’s parents got married in her mother’s parents garden and we loved the idea of doing the same. They have a very beautiful garden and it is home to us. One of the things we love most here at Smashing the Glass is seeing the ways couples combine their cultures and traditions into their big days. 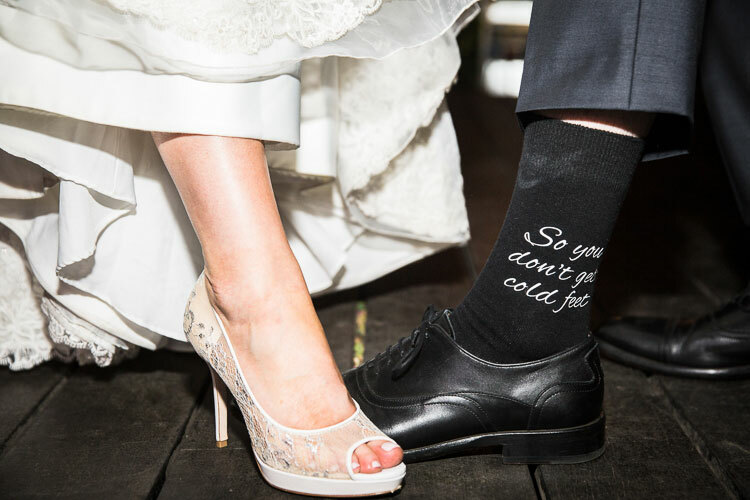 It’s not always easy, whether you’re planning a Jewish wedding or a Jew-ish one, but we see couple after couple pulling it off in their own imitable style. And today’s pair is no exception. 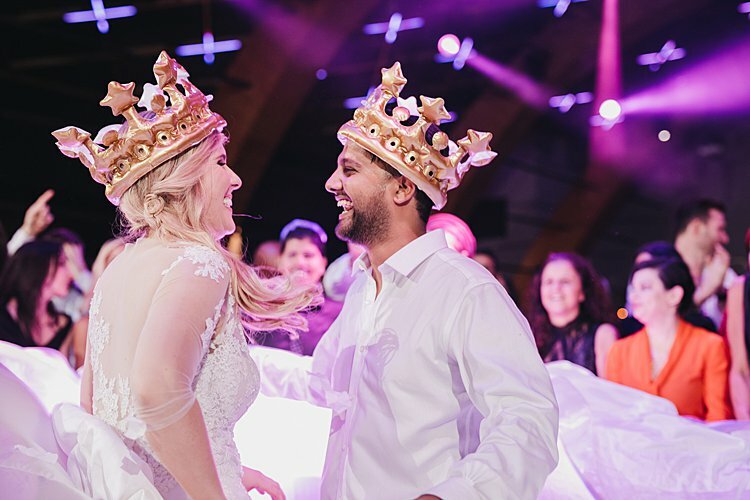 Bronwyn, an occupational therapist and Tal, who is in sales, had two very different sets of traditions to combine: the bride is Ashkenazi and South African, while the groom is Sephardi and Israeli, with roots in India. 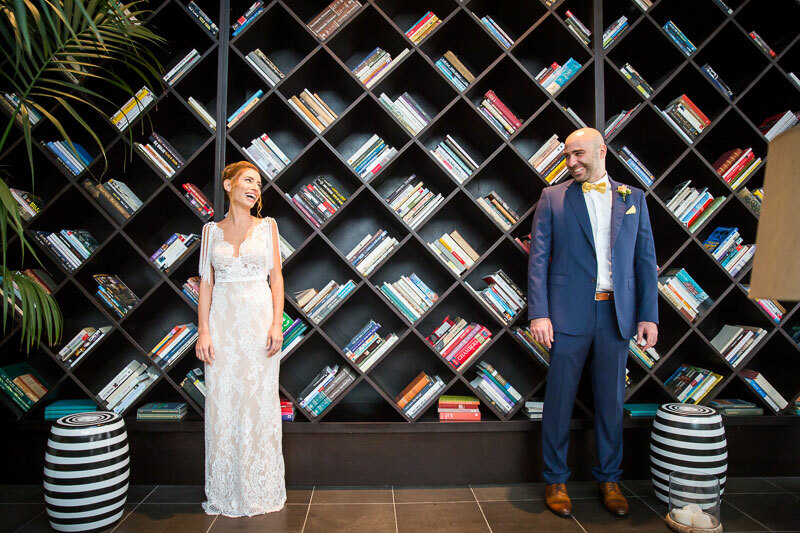 It was important to the bride and groom that both the ceremony and the party reflect their respective backgrounds, and we love the clever ways they made sure to give each other’s traditions equal billing on the big day. During the ceremony, Bronwyn and Tal mixed and matched their favorite elements, holding a Sephardi chuppah with some key Ashkenazi elements: Bronwyn circled Tal seven times, and the duo took some time for themselves in a yichud room after the ceremony. At the reception, the DJ mixed South African beats with Indian tunes — plus some Israeli pop for good measure! 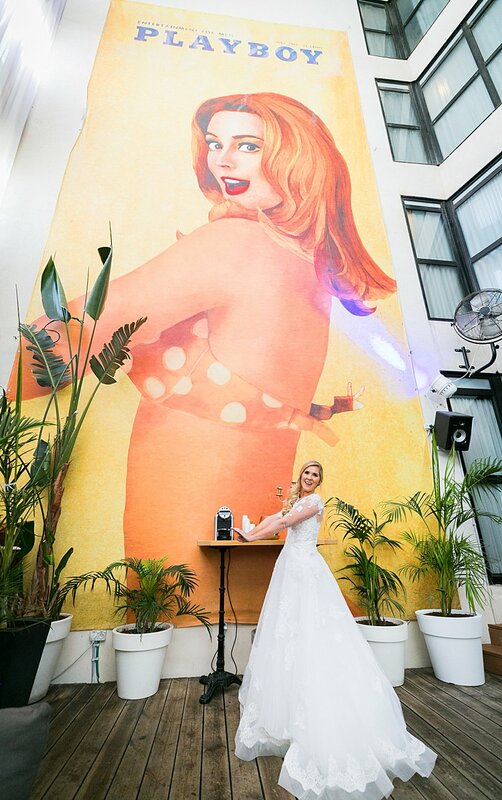 Bronwyn, the bride: We met via Jswipe. Love at first swipe! Roxy and Adam faced a wonderful dilemma about where to tie the knot. 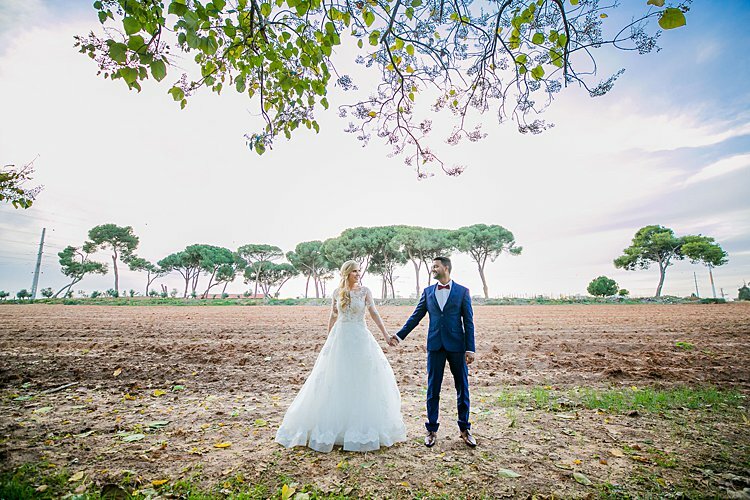 Both with such international backgrounds, they ultimately decided it made sense to bring their loved ones to beautiful Israel for a divine destination wedding, filled with color, love and happiness. 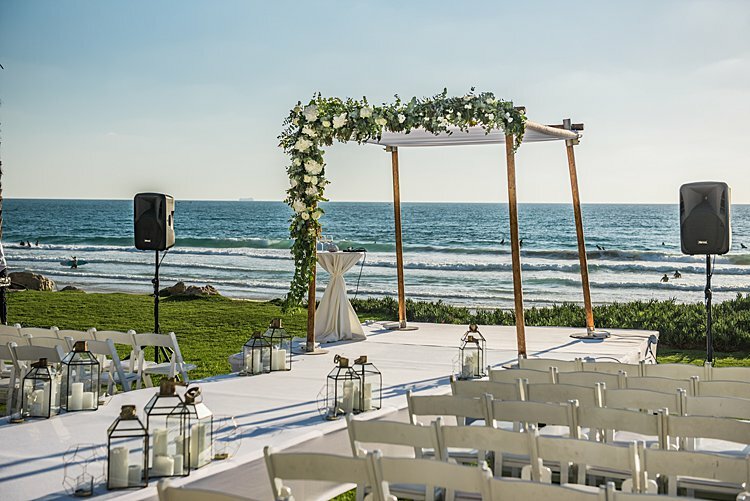 First of all, before we get to anything else, we have to stop and take in that magnificent creation of a chuppah – what an abundantly floral beauty it was! WOW! We were also blown away by the sheer amount of heart – how well Roxy and Adam got to know their Rabbi before the big day, and Roxy’s beautiful way of remembering her father, who had sadly passed away. 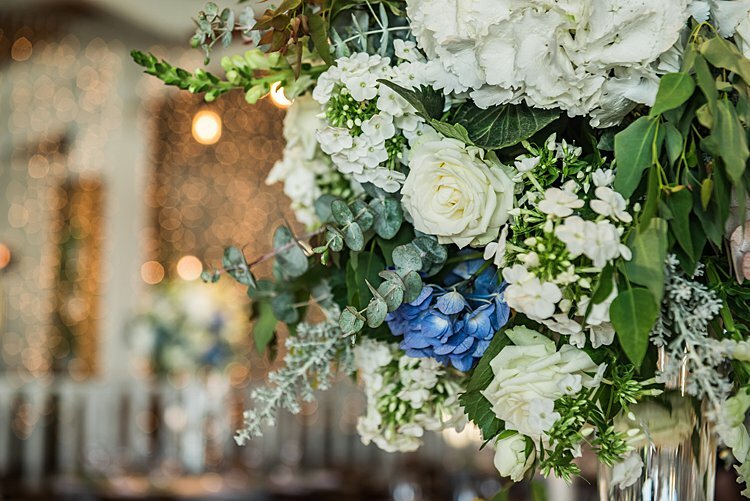 The wedding was shot by internationally renowned photographer, and one of our beloved STG Recommended Vendors, Herschel Gutman, who did a sublime job of bringing the wedding to life. Roxy and Adam also took some time with him the following day to fit in an additional couples’ shoot. We’ll hand you over to Roxy now for her wonderful write up – we hope you love her and Adam’s gorgeous wedding as much as we do! 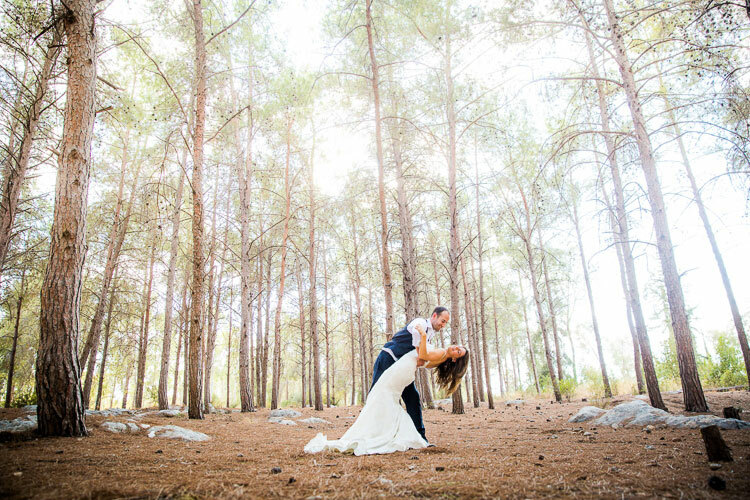 Roxy, the bride: We got married at The Q, Kibbutz Glil Yam in Herzliya Israel. We knew we wanted to have a destination wedding, with both families coming from different places (mine originally South African and then Australia and my husband’s mostly from England and many overseas guests). Israel was the most logical choice for us. Being originally from South Africa, I really wanted to get married in a natural setting rather than in a hotel or indoor space. When we saw the Q, we just loved the look and feel of it. Particularly being outside and in the open air, it just ticked all the boxes. It was truly a magical venue. People – prepare yourselves: there is an abundance of pretty in this real wedding, and even we’re struggling to handle it – and we do this all the time! 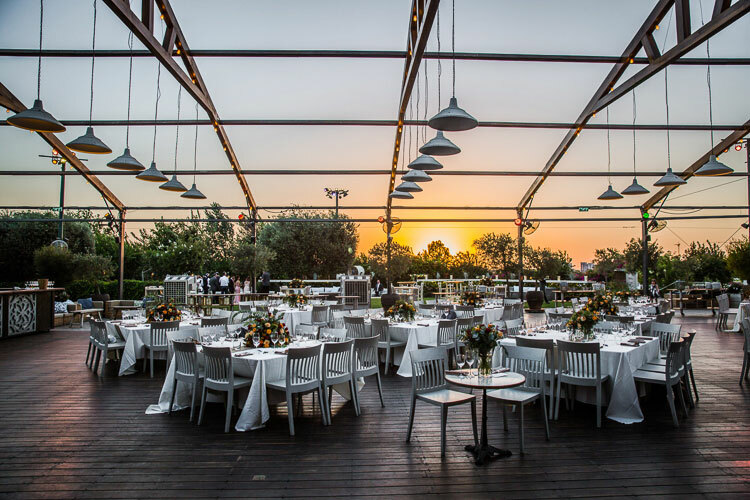 We’re always in awe of Israeli weddings – the natural beauty of the place never fails to make for a stunning backdrop, and Israeli venues just know how to do magic like nobody else. 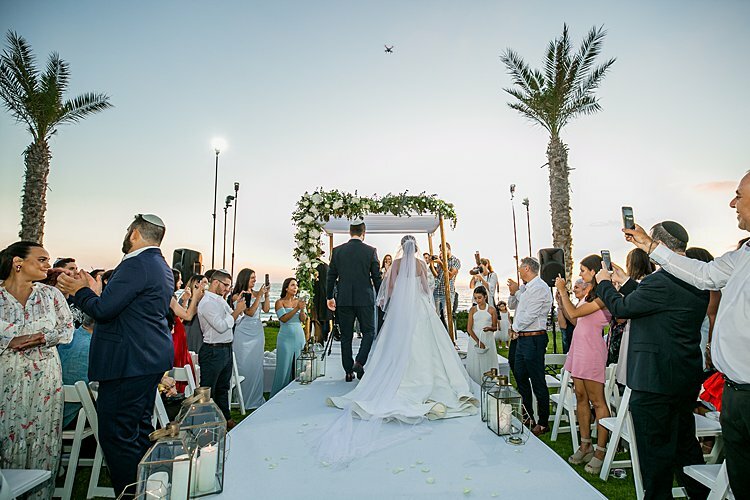 Abigail and Roei’s last-minute celebration looked anything but hasty, in fact, it was absolutely packed with Israeli charm. 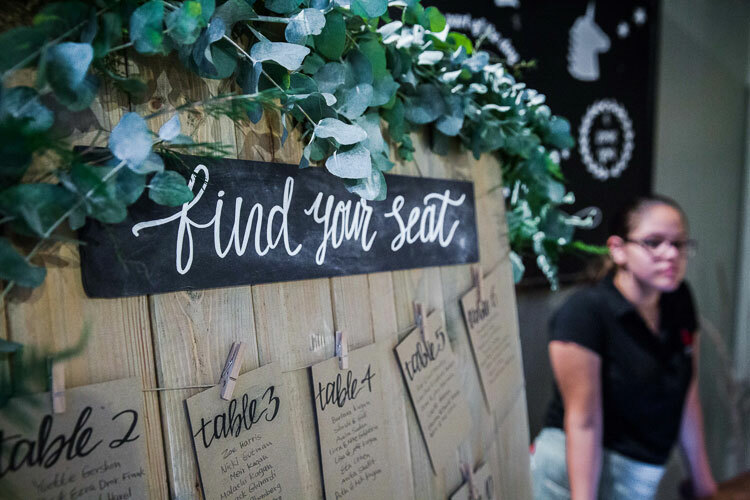 The day was captured by our oft-featured and much-loved STG Recommended Vendor, Herschel Gutman, who did an incredible job of translating the heart and thought that went into each choice into stunning, timeless images. 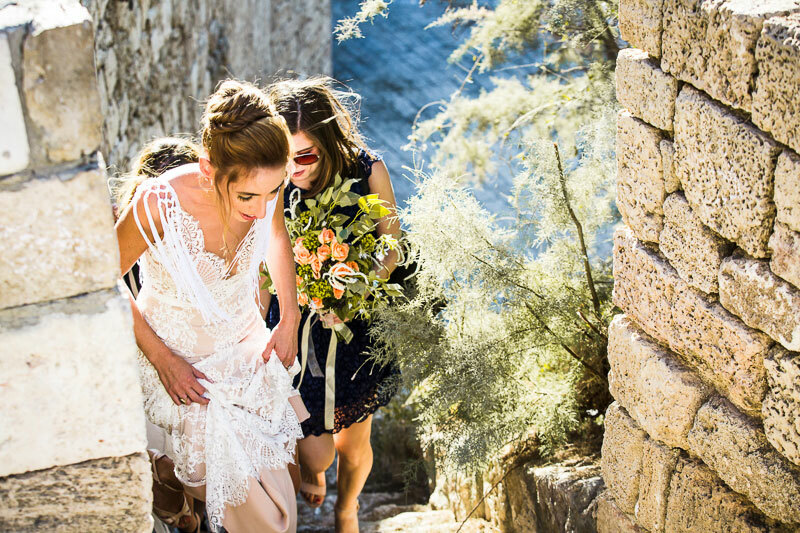 Gorgeous Abigail’s Australian-cool vibe brought an added factor of effortless chic, and her choice of dress, a unique, lacy number by Israeli designer, Adi Groman, was just perfect – a bohemian fairytale. 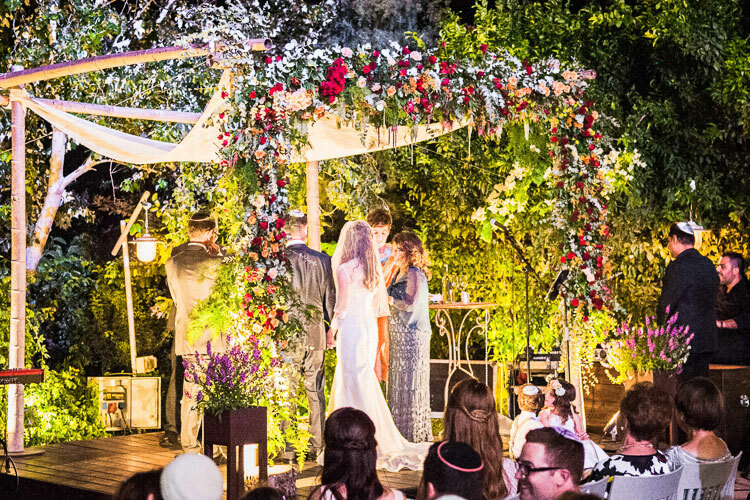 We adore the significance of the path to the chuppah, which was lined with the Shiv’at HaMinim (the Seven Species from the Bible), making the journey to the ceremony even more poignant. On the wedding morning, Roei had a minor medical emergency – and not everything ran smoothly. But, once these two lovebirds locked eyes at the chuppah, none of that mattered. We can all learn from that. Abigail, the bride: in March 2014 I arrived in Santa Teresa, Costa Rica – my last stop after a year of travelling, which included four months in Israel. Roei, who’s Israeli, was there on a surfing trip. We met on the beach and spent a week travelling together (I now know that he had already decided I’d one day be his wife!). I then returned to Australia with the intention of moving to Tel Aviv later in the year to study. We messaged each other sporadically for six weeks, until Roei finally asked if he could Skype me. From that first conversation, we both pretty much knew. We spent four months Skyping every single day, often for five to six hours at a time (yes, we were both extremely sleep deprived, but we didn’t care!). At the two-month mark, we decided to meet halfway in Thailand to make sure that we weren’t completely crazy prior to my arrival in Israel. The meeting at the airport was one of the best moments of my life, which I think is now only on par with Roei’s proposal on ‘Roy’s Peak’ in New Zealand and our wedding day.